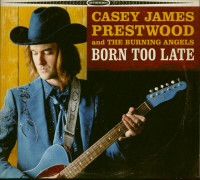 Casey is the song writer of the group. Born in Virginia, raised in the south, he grew up influenced by family musicians. 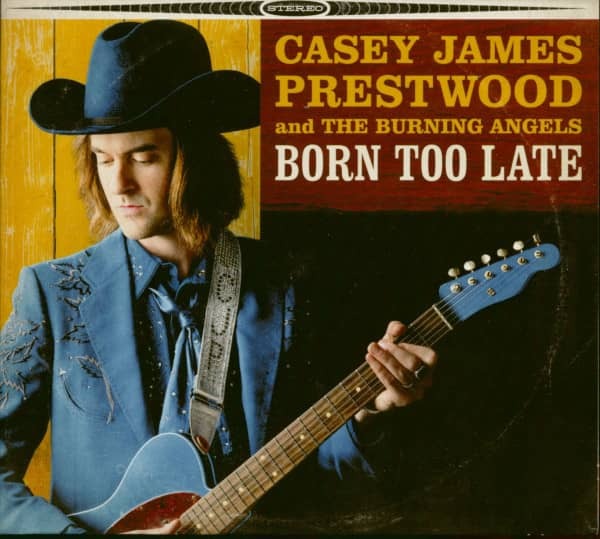 Founding member of rock band Hot Rod Circuit, Casey has also had tenures with Colorado's Drag The River and many other national acts. Aside from music, Casey is a proud father and husband. Hailing from Mt. Vernon, Illinois, Kevin has played in multiple acts in Colorado from punk/garage/ska/rock. Finn is currently sponsored by C&C drums out of Kansas. Originally from NH, Jeff has been playing bass for over 20 years. Nothing flashy here, just straight and narrow. Dave brings a mix of both classic pedal steel technique blended with his own style of some contemporary players. Dave spends his days building motorcycles and can be seen along side Andy Hamilton and the Rocky Mountain Contraband. Andy is a long standing member of the Denver music scene. 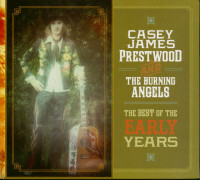 Formally, with his band Houses and currently with The Burning Angels and his own outfit the Rocky Mountain Contraband. Jeremi's unique and sharp vocals are seldom matched. Brought up singing in church, she is a founding member of Salt Lake City's own Band of Annuals. Casey met Jeremi back in 2006, and has been his "keef" ever since. She currently resides in San Francisco where you can find her playing and singing with The Come Ups. 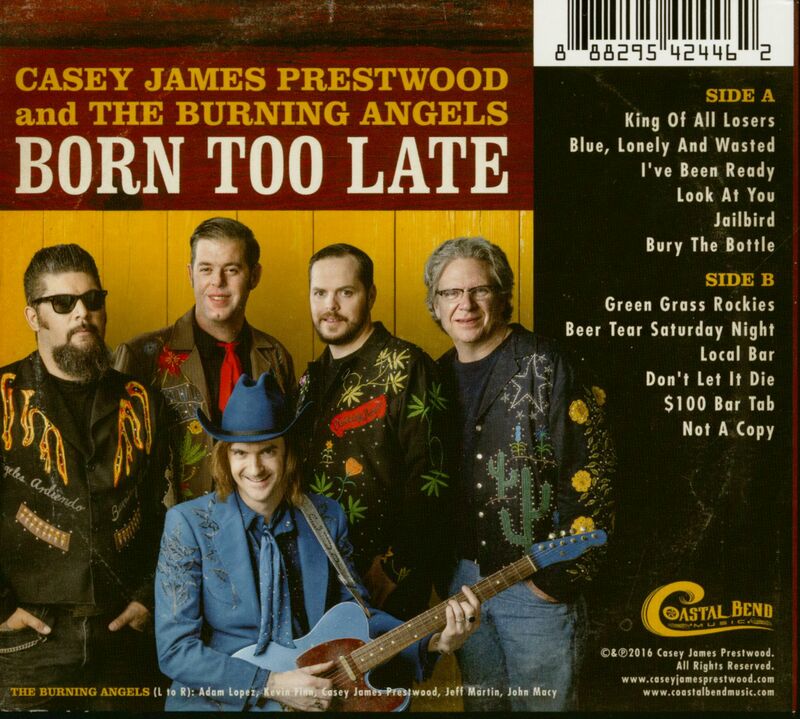 Customer evaluation for "Casey James Prestwood And The Burning Angels - Born Too Late (CD)"